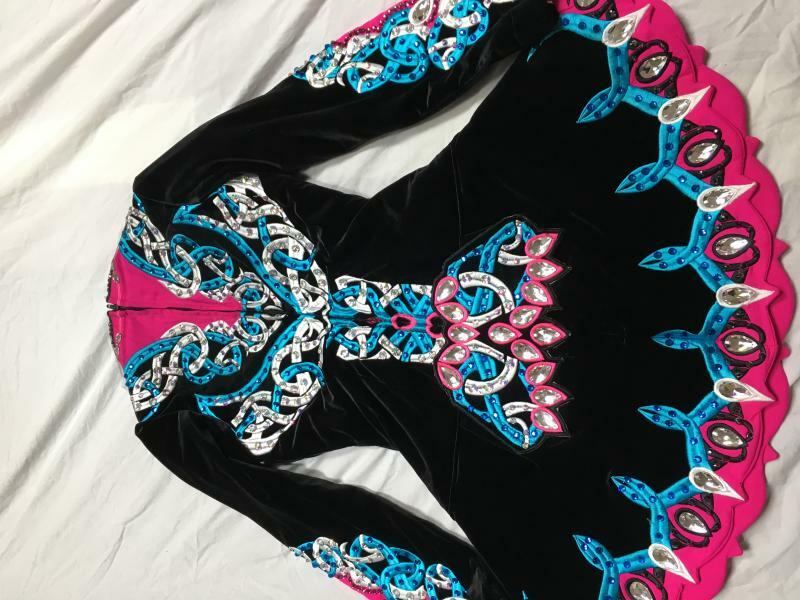 dance.net - REDUCING the price on this dress to $1350 (10245261) - Read article: Ballet, Jazz, Modern, Hip Hop, Tap, Irish, Disco, Twirling, Cheer: Photos, Chat, Games, Jobs, Events! 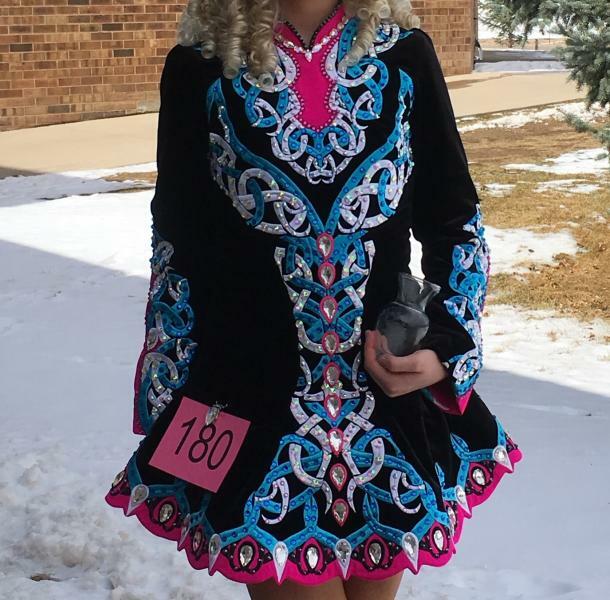 This lovely, brightly colored Elevation dress was made for the 2016 Oireachtas. It is light-weight black velvet with turquoise blue and white embroidery and fuchsia accents. It is covered in Swarovski crystals for lots of sparkle onstage. It has large teardrop crystals down the front, on the shawl and on the skirt. There are smaller round colored crystals covering all the embroidery and accenting the fuchsia areas. The dress comes with fuchsia/pink bloomers and a Swarovski teardrop crystal number clip. The dress is very well made and in excellent condition. Worn by a tall slim 15 year old. REDUCING the price on this dress to $1350. Great deal for this well-made Elevation dress that is in FANTASTIC shape! REDUCING the price on this dress to $1500. Thank you for your consideration!